The Architectural Foundation of Santa Barbara is pleased to announce the opening of Color Notes, an exhibition of oil paintings by Jimmy Miracle. A reception will be held at The Architectural Foundation of Santa Barbara on Friday, March 15 from 5-7pm. All are welcome. Color Notes highlights Miracle’s everyday wanderings around his neighborhood in Goleta and his fresh eye for color. Seeking neither picturesque nor unsightly subjects, Miracle freely paints his immediate surroundings with an open mind—landscapes, parking lots, isolated figures, and interiors. He paints from both memory and observation with an immediacy and vitality of color. These small, intimate paintings are a celebration of the senses. They represent commonplace encounters imbued with human experience and perception. They all eschew the technological filters so often used today and instead rely on the first-hand experience of places and people. Miracle continually experiments in search of fresh, vital, visual approaches within the contemporary artistic dialogue. His recent oil paintings in Color Notes highlight a little-known aspect of his unique artistic career. After receiving a B.A. in studio art from Belhaven College (Jackson, MS), Miracle spent ten years working and exhibiting his paintings and installation art in New York City, Washington, DC, and Germany. A recent graduate of UCSB’s MFA program, Miracle is currently a Teaching Fellow at the University. As a recipient of a “Humanities in the Community” grant from the Interdisciplinary Humanities Center (UCSB), he is co-creating and exhibiting with artists who experience mental illness. 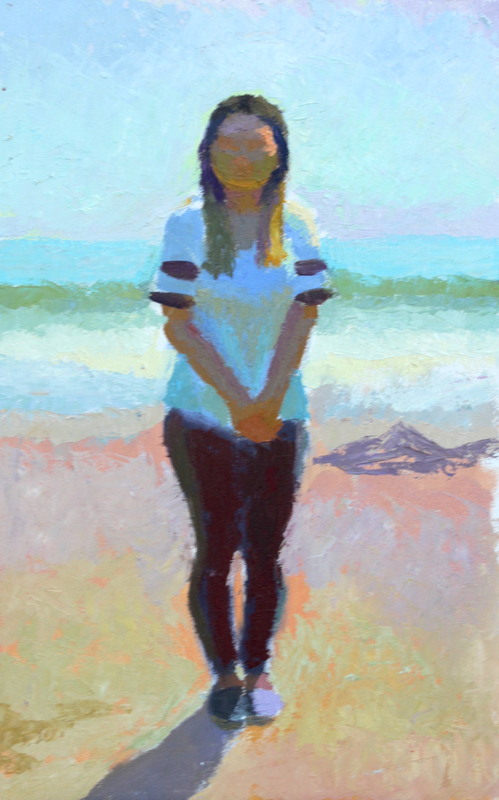 An oil painting workshop will be led by the artist on Saturday, April 27, 2019 from 1-3pm (Cost: $30) at the AFSB Gallery. To purchase a ticket, please visit the Architectural Foundation’s website.